MTN to introduce 17 Digits recharge card PIN. This announcement was made officially on MTN's official social media handles. Before now, we are used to the 16 digits pin, but here we are getting one more digit being added to the 16 digits. Everyone was quite surprised on hearing this new development from the network. We all know that MTN is one of the biggest service provider in Nigeria with over 50 Million subscribers. Getting this new 17 digits pin isn't a bad idea if you ask me. 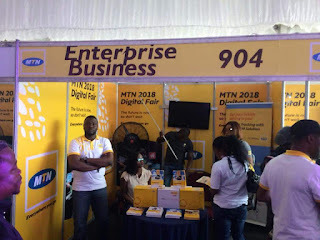 MTN started with 0803 prefix (which everybody has known them with), but today they have had over 5 number prefixes because of their large number of subscribers. Recall that MTN started with 12 digits recharge card pin before they upgraded to 16 digits pin, and now we are getting 17 digits pin. We just hope not to get 20 digits pin in the next few years to come. Will The Old 16 Digits PIN Still Be Valid? Yes, the old 16 digits pin will still be valid for you to use. You will continue to use the old pin while new pins would be the 17 digits pin.